Eric was appointed to the Cube Board in 2018 and prior to that served for three years on the Board of Loretto Housing Association. 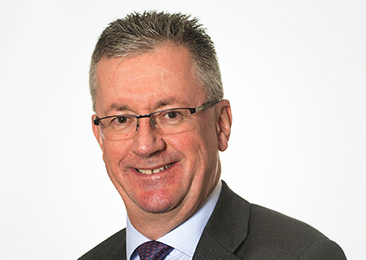 A career banker and Fellow of the Chartered Institute of Bankers in Scotland, Eric held various senior management roles with Bank of Scotland and Lloyds Banking Group working with SME and corporate customers in a variety of sectors. On leaving banking in 2014, Eric established his own advisory business which he ran for three years. Eric also holds Non-Executive positions as the Vice-Chair of the Wheatley Foundation and at Social Investment Scotland where, in addition to his Board role, he chairs the Credit Risk Committee.